The award-winning podcast for learners of Spanish worldwide. "Hi! My name is Karo Martínez. Español Automático is based on my own experience that learning a foreign language is NOT difficult. I speak fluently 4 languages and I want to help anyone who dreams about speaking Spanish to achieve it in a natural, fun, stress-free and automatic way. Learning a foreign language may be a very satisfying experience if you do it the right way. So if you want to switch from learning Spanish to actually speaking it, Español Automático is your answer. Because life doesn’t have subtitles! 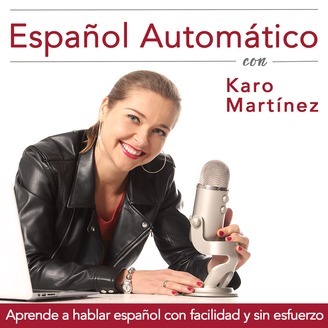 Español Automático helps you improve Spanish listening and Spanish speaking skills. I share anecdotes, real-world topics, personal and professional development materials creating Spanish immersion environment to help you speak Spanish fluently and effortlessly. This is the genuine Spanish you will never find in a textbook or classroom. This Podcast will benefit most intermediate and advanced learners, and people who needs to review their Spanish. You will benefit from language learning strategies that work, Spanish idioms and cool words frequently used in the Spanish-speaking world. Take your conversational Spanish up to the next level with our engaging authentic content! 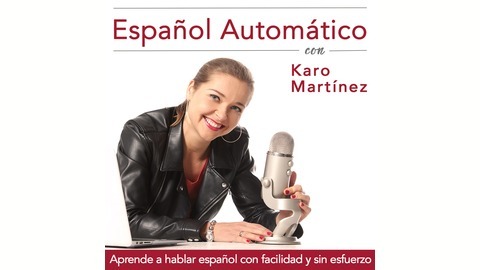 Visit EspanolAutomatico.com for "Secret podcast episodes", transcript, worksheets, freebies and more VIP content"
Por eso, en el programa de hoy vamos a explicar una expresión coloquial: “dar la vuelta a la tortilla”. Explicaremos su significado, su posible origen y daremos 9 ejemplos para que sepas cómo utilizar “dar la vuelta a la tortilla” correctamente. 130 Test de fluidez | ¿Cómo es tu fluidez en español? Español coloquial: "escurrir el bulto" y "dar largas"